One of the challenges of energy efficiency is the cost of making changes. Where should you go for funding? How can you negotiate the right deal? How can you get the figures needed for the applications? Energy at the forefront of policy. So, while there is more legislation, there’s also more sources of funding. zeco can help you find them and get the right data to aid your application. There’s lots of funding out there but there’s a lot of data required to make applications. The more yo u can provide, the more likely it is that your bid will be successful. Our service can get the right information for you. We understand the opportunities and have the right connections and partnerships to get the funding you need. We’ll take care of the whole process, freeing up your time. The finance we get helps free up your budget too. We can provide proof of the benefits after everything is complete. We’ll help you access funding from a range of finance partners. This can potentially be at no cost to you, as the funder is repaid out of government incentive schemes. This means you get reduced energy bills at no capital outlay. This company delivers 100% interest-free capital to the public sector to improve energy efficiency and reduce carbon emissions. It was established in 2004 and so far has lent more than £300 million. We understand the application process and can work with you to try to secure funding. ECAs lets businesses claim a 100% first-year capital allowance on energy-efficient plant or machinery. You can write off the cost against your company’s taxable profits for the same year. All businesses are eligible if they buy appropriate equipment. Do you like the idea of getting paid for reducing on-site energy usage without any disruption or risk to your business? By turning off some of your systems at specific times when the National Grid is unable to meet demand, your business will be compensated. zeco can help you understand whether these schemes work for you and can help you access them. Two that may be suitable for your business are: We can make sure you have central control of your systems so it’s simple to override them. This means you can be ready to power off whenever required without needing resources, making it much more cost-effective. Get in touch with us to find out how we can help you take advantage. If you renewable energy, you will be entitled to revenue as part of these schemes. We’ve found situations where clients are not claiming or are wrongly claiming RHI and FIT, which are 20 year income streams from the Government for renewable generation. Everything from sub-metering to the administrative paperwork needs to be in order. We’ll check you’re not missing out or at risk. How much money do you waste on your energy? We can identify where your systems are working against one another. And we can show where you may be being incorrectly billed, such as on CCL, VAT, FIT, Available Capacity or ROC. Many finance schemes ask you to supply a lot of data with your application. The more you can provide, the more likely it is that your bid will be successful. Our software gives you the data you need. 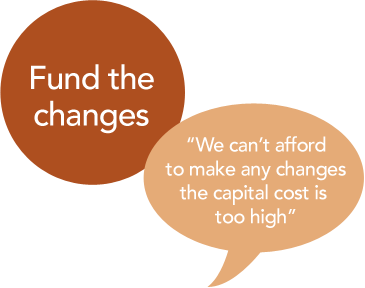 It also allows us to monitor and prove the savings once the changes have been made, which allows us to liaise with your funders and provide the right data to release the payment.